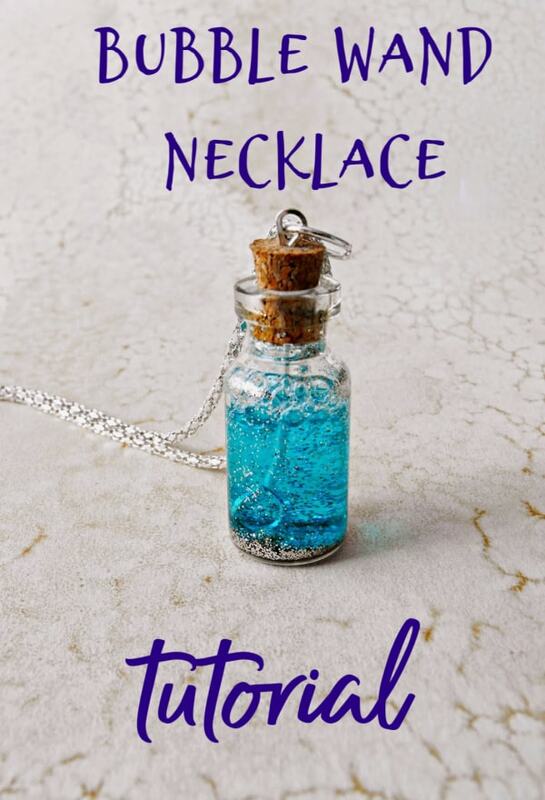 Make a DIY bubble wand necklace to hang around your neck and you can blow magical bubbles any time or place you choose. 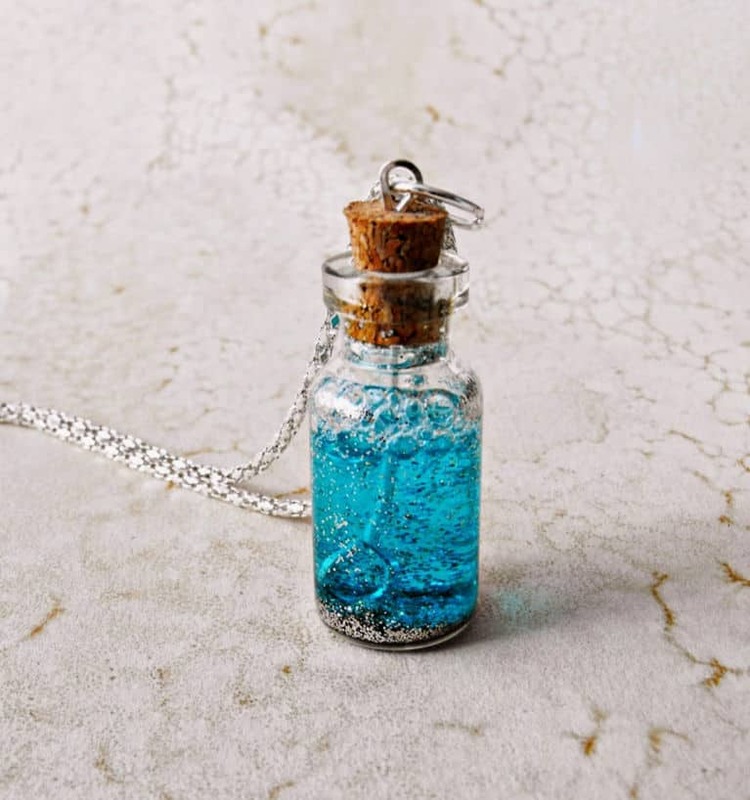 This bubble wand neckalce is made from a glass vial and filled with dish soap and a little bit of pixie dust. This DIY bubble wand necklace is suited to kids that are a little older. The bottle is glass and the bubbles can get a little messy. 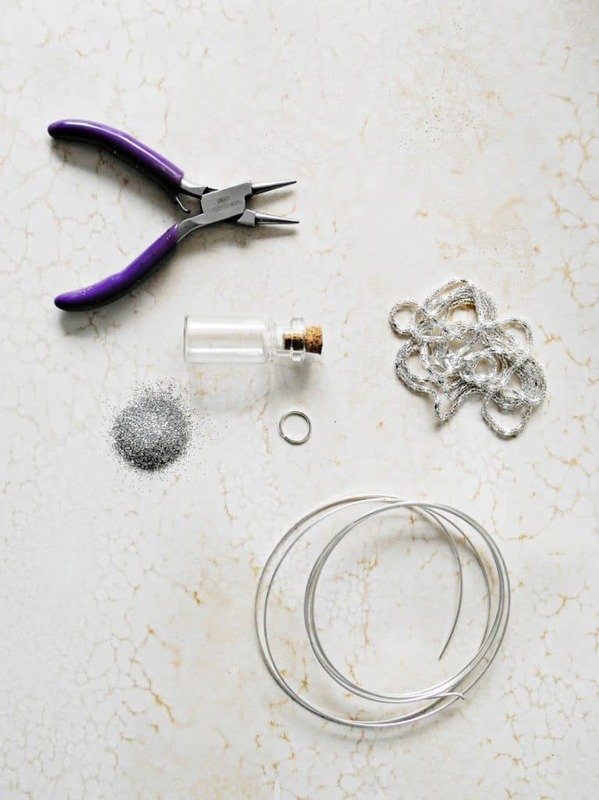 There are a lot of small parts as well so keep that in mind when making this necklace. Cut a piece of wire about 2 inches long. I used wire for making memory bracelets from the craft store. Try to straighten the wire as much as possible. To make it into a bubble wand take one end and bend it into a loop using the pliers. 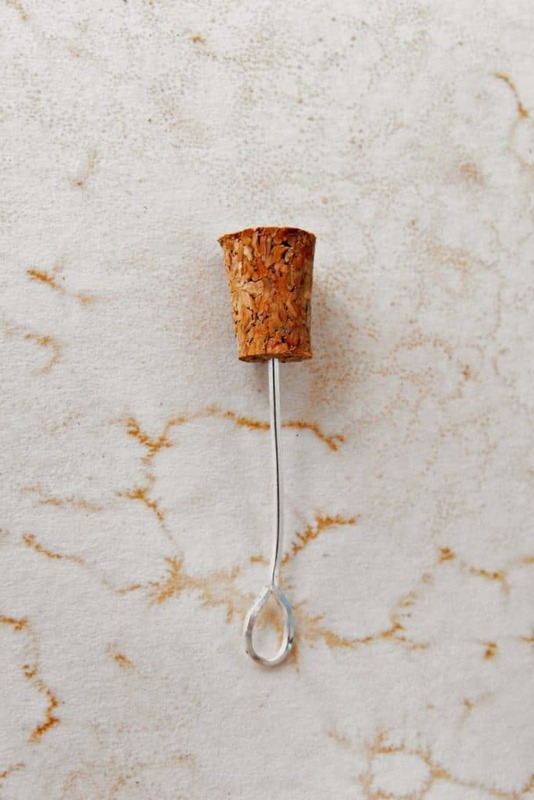 Take the other end of the wire and poke it up into the bottom of the cork stopper. Test the bubble wand to make sure it will fit through the opening in the bottle. The hole can be pretty tiny and still be able to form bubbles. If you are unsure if it will work you can test it out by dipping it in dish soap and try to blow bubbles before you insert it into the cork. 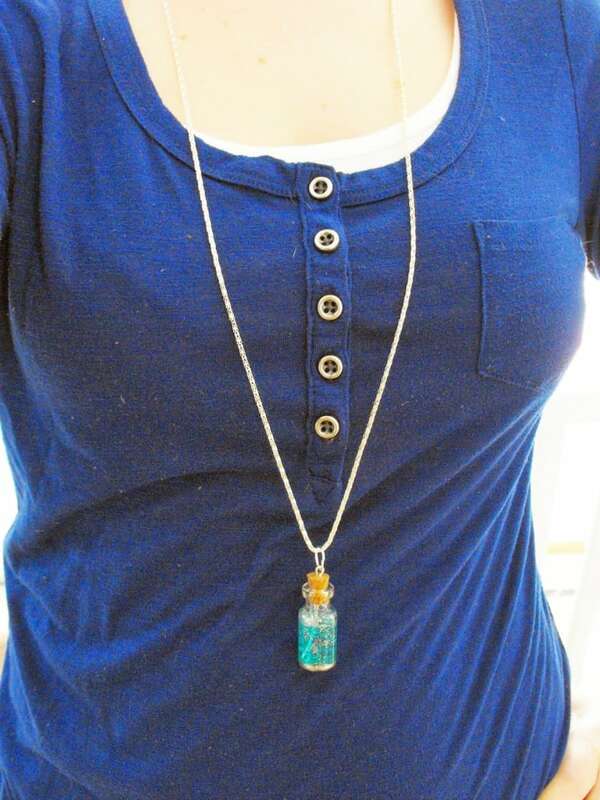 To make the bottle into a necklace you can push a tiny eye pin into the top of the cork. You can make your own by cutting a small piece of wire and bending a loop on one side like you did with the bubble wand. String your chain through. 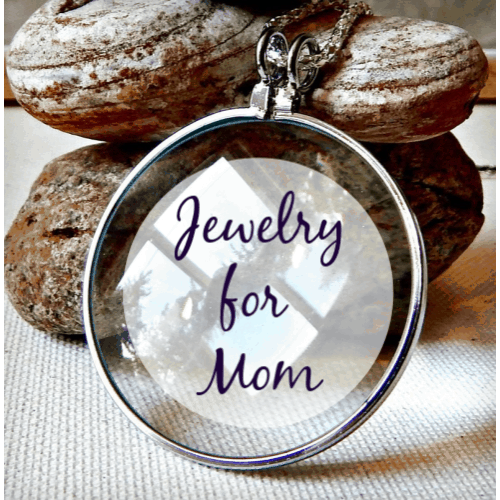 You can make a custom length chain with jewelry chain from the craft store and adding your own clasp. 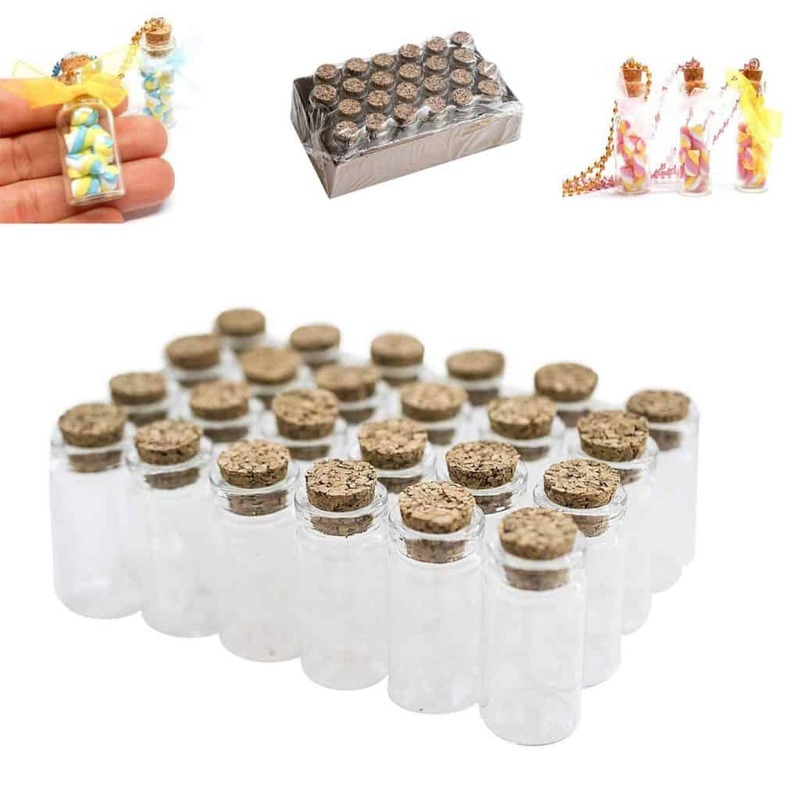 Add a small amount of fairy dust (glitter) into the bottle. A couple little pinches will do. Carefully pour a little bit of liquid dish soap into the bottle and give it a little shake. Now you can pull the cork up and blow into the bubble wand and create tiny bubbles everywhere! The glitter won’t affect the bubble formation as long as you add a small amount so it is not too thick. There may be little bits of glitter that land with the bubbles so you may want to limit bubble blowing to outdoors only if you don’t want small pieces of glitter around the house.